Corbit has successfully managed to translate the precision of medical technology into an intuitive wearable that allows vital health data to be available to you and your doctor. It enables the family to stay in touch and care for their loved ones. corbit works on preventive medicine solutions with a core focus on the heart. Our parents and grandparents have the right to a good quality of life and well-being. The physical, mental and social wellness leads to an optimal health, that allows equity between generations. Our users can enjoy an independent life and stay healthy longer. Be the first to own the corbit bracelet! Flag ECG Report to the watch list in Health Events. Download and share reports as a PDF. 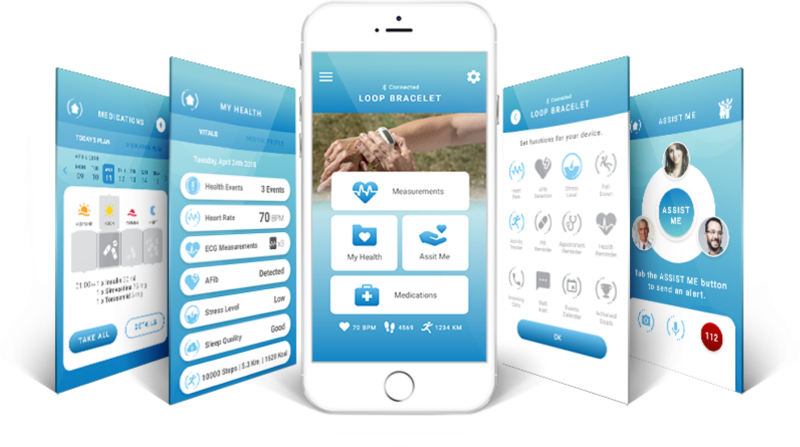 Visualize & Collect vital health information with the corbit app. From all of the proposed names for our bracelet at CEBIT 2018 we selected 4 finalists. Vote for your favourite option and be a part of the digital health solution.